The Uganda International Badminton Tournament 2017, sanctioned by the Badminton World Federation, was recently held at MTN Arena Lugogo, Kampala. 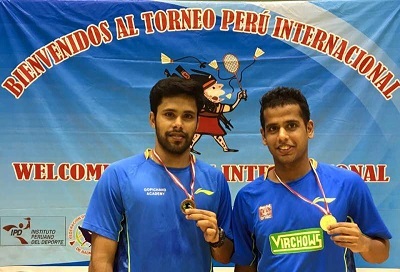 Top seeded Indian shuttlers Tarun Kona and Alwin Francis have won the won the Men’s Double title by defeating Aatish Lubah and Georges Julien Paul of Mauritius. George Julien Paul of Mauritius has won the Men's Singles title by beating Edwin Ekiring (Uganda). Here is the complete winners list.